Green light for precise aiming. The Nerf N-Strike Elite XD Modulus Targeting Light Beam is another piece of equipment to add some tactical versatility to a Nerf blaster. When the green light spot shows where your blaster is pointing, aiming from the hip is a valid option. 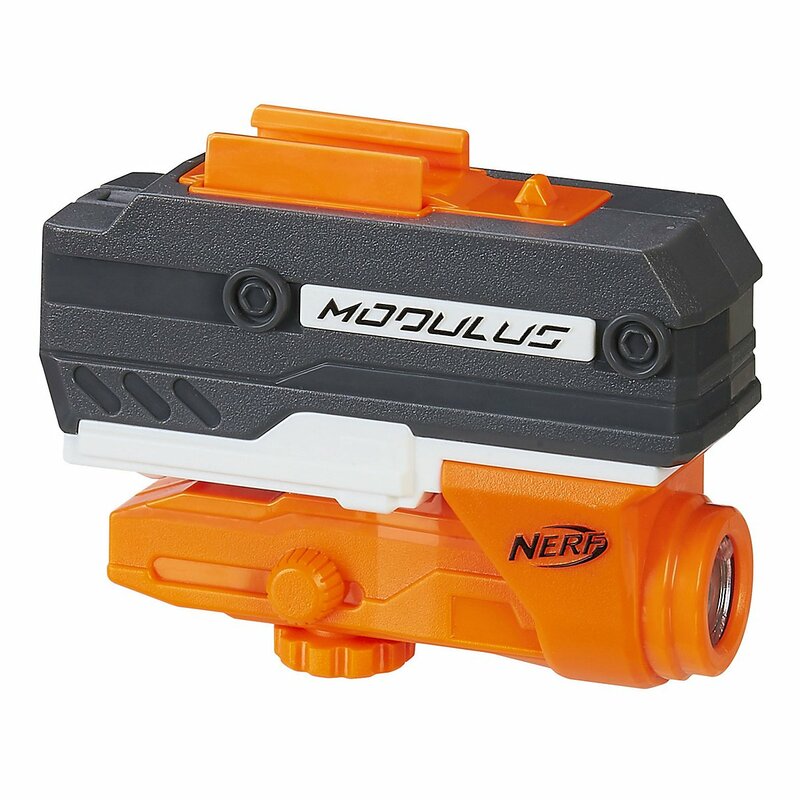 The Nerf N-Strike Elite XD Modulus Targeting Light Beam can be attached on any Nerf rail. Of course it makes most sense to mount it somewhere at the barrel. Thanks to an adjustable lens the green dot of light can be slightly adjusted to compensate deviations. The Targeting Light Beam comes in a simple package. By omitting plastic covers and colourful packaging, this box is not only more environmentally friendly, it is also cheaper which is reflected in the price.